In this talk, the speaker will present a summary of his recent work on developing an Unmanned Aerial System (UAS) with bat morphology called Bat Bot (B2). An overview of hardware development, and a summary of closed-loop flight control design for B2 will be presented. B2 weighs 93 gr and mimics morphological properties of bat wings. Instead of using a large number of distributed control actuators, a highly stretchable silicone-based membrane wings is implemented that is controlled at a reduced number of dominant wing joints to best match the morphological characteristics of bat flight. The dominant joint movements in the bat flight mechanism are identified and incorporated in B2’s design by means of a series of mechanical constraints. The continuous surface and elastic properties of bat skin under wing morphing are realized by an ultrathin (56 micron) membranous skin that covers the skeleton of the morphing wings. Additionally, the speaker will present a brief overview of his future research vision. This talk is liberally illustrated with graphics and videos that explain and support the speaker’s underlying ideas. 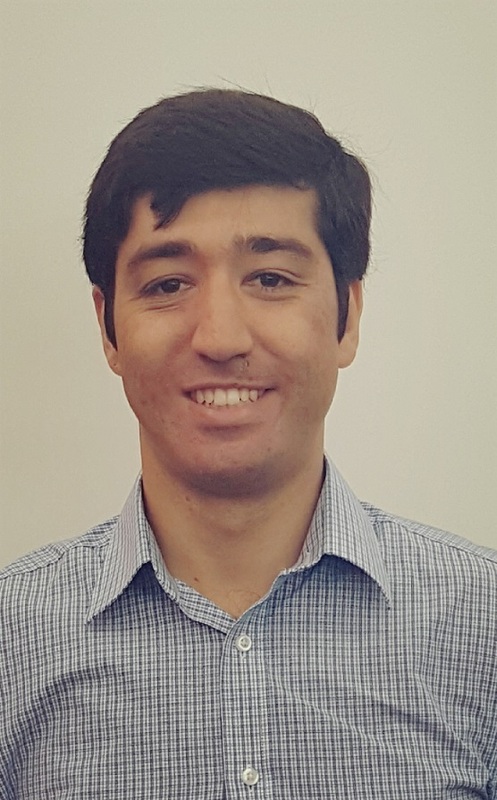 Alireza Ramezani is a postdoctoral researcher at Caltech’s Devision of Engineering and Applied Science (EAS). He received his Ph.D. degree in Mechanical Engineering from the University of Michigan in 2013. He received his M.S. and B.S. degrees in Mechanical Engineering from ETH Zurich and Iran University of Science and Technology in 2010 and 2007. His research interest lies at the intersection of articulated robot locomotion (aerial and terrestrial) and applied nonlinear control theory.